The average American receives ten days off a year; many don’t even use all of their accrued time off. As a result, taking a trip can turn into a stressful task: making sure that everything is situated, that everyone is happy and that each minute is appreciated. It can be daunting. 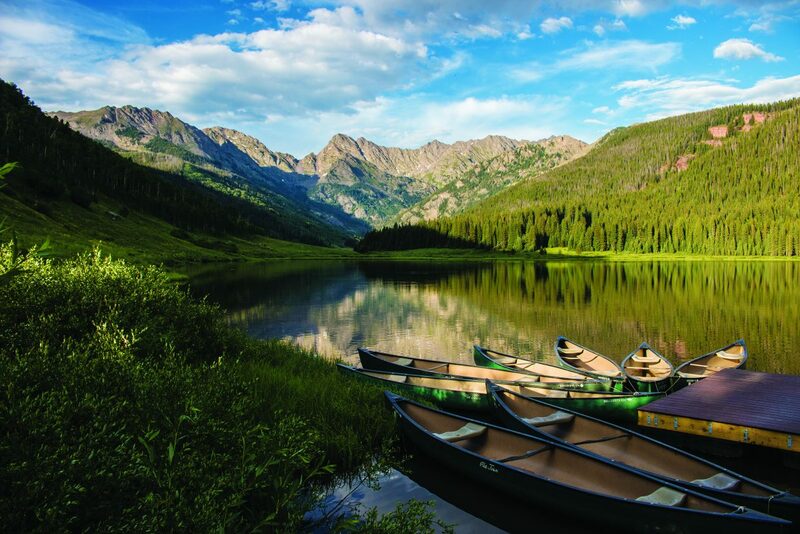 Even planning a vacation in a location as idyllic as Vail can be difficult. Not because there is a lack of entertainment, but because there are so many options. 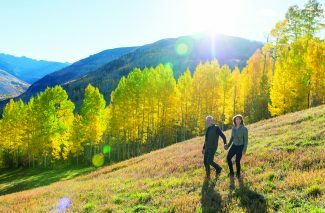 Given an unlimited timeline, guests could spend an entire winter season here, exploring the mountain, venturing into the backcountry and taking advantage of all of Vail’s cultural and dining options. In fact, that’s how many of the locals became locals — they came for a vacation and decided to make it their home. However, even if you have to return to “real life” after a visit, we know how important it is to maximize your time and make sure that you’re fitting in all of the experiences that will make an unforgettable vacation. In order to assist in this venture, we enlisted the help of three of Vail and Beaver Creek’s finest concierges. Each concierge has planned one perfect day for three different types of visitors: a couples’ retreat, a getaway for a group of friends and the ultimate day for a family. These experts know first hand what makes an incredible experience — after all, that’s their job. Originally from central Pennsylvania, Matt moved to Vail from Philadelphia six years ago and has made the most of his new home. An avid mountain biker and part-time raft guide in the summer and skier in the winter, Matt has embraced the Colorado lifestyle and enjoys sharing his love of the area with his guests. That extends to future fun, too. Even on another continent. Vail is an ideal destination for a group of friends, whether it’s a group of guys, girls or mixed company. Here is Matt’s lineup for a perfect day in Vail. Fuel up for a day on the mountain. Grab a #3 from DeliZioso, which includes egg, prosciutto, fresh mozzarella and pesto, and take it to go as you make your way to the gondola to grab one of the first cabins. Each day is different, as the wind direction can load the snow onto certain slopes, depending on how it’s blowing and the snow texture and density can change throughout the course of the day. To make the most of a bluebird day, grab a grooming report and see what’s sporting fresh corduroy. Matt recommends Riva Ridge when it’s freshly groomed. On a powder day, an early morning run down Ricky’s is a great way to start the day before heading back to Blue Sky Basin. If there are non-skiers in the group or you’ve decided to take a day off, Sage Outdoor Adventures leads snowmobile tours that are scenic and exhilarating. The snow muffles the rhythm of the four-stroke engine as you’re whisked through powder fields and aspen groves. Pick up soup from Northside Grab and Go in West Vail and you’ll be set for an afternoon warm-up before heading back out on the sleds. Afternoon means après in a ski town. There is a wide variety of options, like Vendetta’s for pizza, Moe’s for wings, Garfinkel’s for burgers and Mountain Standard or The Remedy for cocktails. One way to maximize your experience is to plan ahead. As restaurants can get busy at the end of the ski day, having an idea of your order will ensure that you’re sipping on a beverage and noshing on snacks as soon as possible. As you’ve most likely filled up during après ski, it’s time for relaxation. Soaking in a hot tub at your hotel or condo will be the icing on the top of your ski day, easing sore muscles and allowing you to rewind with your friends. A glass of sparkling wine or a local craft beer will never go amiss, but remember–you’re going to do it all again tomorrow, so rest up. Perhaps one of the most experienced and well-connected people in the Vail area, Steve Trombetta has been a concierge/guest services manager at the Hotel Talisa, Vail (formerly Vail Cascade Resort) for 33 years. In those decades, he’s met and become long time friends with many interesting people, from football icons to past presidents. And, though they’re celebrities, they’re not that different from other guests at the hotel in their wants during their stay. Bruce Smith, former defensive end for the Buffalo Bills, came to Vail for surgery at the Steadman Clinic and stayed at the Cascade. Steve remembers that one night he wanted pizza, so the staff took him to Pazzo’s. After three decades working in Vail, Steve is now welcoming the next generations of families to town. There’s something inherently romantic about a ski vacation as a couple: the snow falling softly on the trees, cuddling up in front of a roaring fireplaces and sharing the slopes together. Here are Steve’s suggestions for a perfect day in Vail. Start off the morning by donning a robe and taking a quick dip in the Jacuzzi. Then indulge in the breakfast buffet at the hotel (Steve recommends the pancakes). Afterwards, chat with the friendly and knowledgeable concierge to map out your route for the mountain as conditions change regularly. Then head up on the Cascade lift to the mountain. If you need a break from enjoying the champagne powder, for convenience Steve suggests eating at one of the many different options Vail provides for lunch, like Two Elk, Bistro 14, or Mid-Vail. However, if you had the buffet, you might not need lunch — a filling breakfast means that you can ski through lunch and enjoy less crowded runs as everyone on the mountain tends to eat at the same time. However, sometimes sustenance is necessary. In that case, ski down into either Lionshead or the Village for one of the many options there: Sweet Basil (“great food for more than 30 years and even better people watching”), Mountain Standard, Up the Creek, Vendetta’s or Pepi’s (“for some Bavarian flavor”). In Lionshead, Tavern on the Square, Vail Chophouse, Garfinkels and Montauk are all easily accessible from the mountain. In the Village, continue the Bavarian theme with entertainment at Pepi’s, or head to Los Amigos for margaritas (right off the slopes); Red Lion also has après entertainment and a lively crowd. If you want to hear the latest and greatest on what’s happening on the mountain with ski patrol, then go to Vendetta’s. to find the restaurant that looks right for you. Once you decide, call your concierge ASAP to make your reservations; restaurants often fill up quickly. 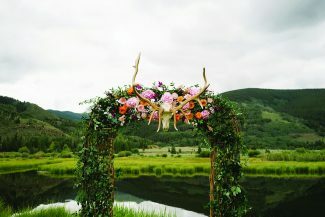 While there are many amazing restaurants in the base areas, for a truly romantic experience Steve recommended guests consider a sleigh ride and dinner on the mountain, like at upscale cabins like Beano’s and Zach’s at Beaver Creek, or at the rustic Four Eagle Ranch. A New York native, Powers moved to Vail in 2010 after a year in Ketchikan, Alaska, in search of stellar skiing. As with so many others, one season has now turned into seven. Powers started at The Ritz-Carlton, Bachelor Gulch as a concierge. He’s had his share of interesting requests through his tenure, like the guest that asked the staff to bring a carnival (rides and vendors and all) to the hotel including elephants and giraffes for a birthday party. Note to self: It’s not feasible to stage an African safari-themed zoo at The Ritz-Carlton, Bachelor Gulch. From hippos to helicopters, Powers has heard a lot, and fulfilled as many requests as he can. However, the one thing that never disappoints is the amazing setting in Beaver Creek. “There is just something about waking up in the morning and looking out at the high peaks that I will never tire of, and certainly won’t ever take for granted,” Powers says. Though the view at Beaver Creek is a great start to the day, head down to Northside Kitchen & Coffee in Avon to grab a Gringo Burrito and a dozen of their famous house-made donuts, to fuel you and your family up on the go. Chow down and head to Beaver Creek Village to meet your ski valet at the White Carpet Club, located at the base of the Centennial Chairlift. The White Carpet Club gives members private lockers, slope-side valet and, if you need it, preferred parking. Membership is available daily, weekly or for the season, so you can let the onsite concierge store your belongings for you and keep your shoes toasty warm while you enjoy the slopes. “Beat everyone to the lift by enjoying the White Glove First Tracks and experience the world’s finest groomers before they open to the public,” Powers says. Taking place on certain dates, you’ll meet at the base of the Centennial lift at 7:30 a.m. for a private guided tour before anyone else gets their first run in. If there are non-skiers in the family, there are other activities to try on the snow. Visit the Beaver Creek Nordic Center to rent snowshoes or cross-country skis and explore McCoy Park. Or, visit the ice rink in the center of Beaver Creek Village to take some graceful turns around the rink. After a few hours of skiing on the slope, turn in your equipment at the ski valet and walk over to Beaver Creek Chophouse’s patio. Soak up the sun slope-side while munching on lunch—the Bird & Brie sandwich is a favorite. 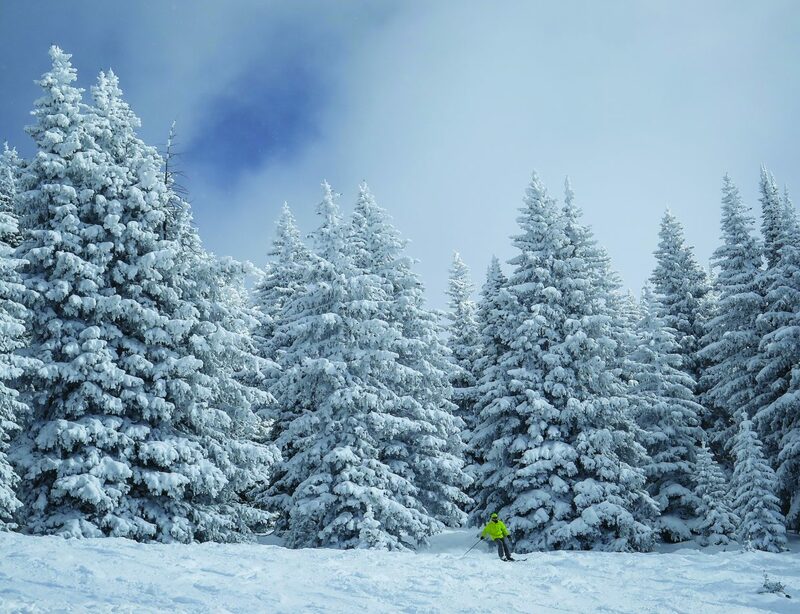 After a leisurely lunch, get ready to hit the slopes again before heading over to The Ritz-Carlton, Bachelor Gulch for what Powers says is Beaver Creek Mountain’s best après ski. “Hang out at the famous Ritz-Carlton fire pit and listen to wonderful musicians play your favorite songs,” he suggested. Powers also encouraged the adults to enjoy a signature Ritz-Carlton cocktail while the kids can grab a delicious complimentary chocolate chip cookie at 3 p.m or roast s’mores around the firepit. Be sure to save some energy after après. You can ride back up and leisurely ski the Intertwine trail all the way down to Beaver Creek Village before turning in your skis to the valet and warming up in an outdoor hot tub. If you’re too satiated, there are shuttles that will return you to the Village from Bachelor Gulch. Ready for a dinner experience to remember? Bundle up and return to The Ritz-Carlton, Bachelor Gulch to catch your open-air sleigh ride up the mountain to Zach’s Cabin. 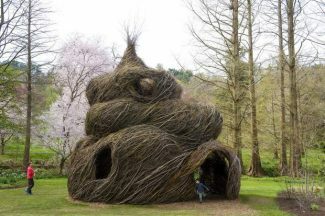 Warm and cozy and welcoming for the whole family, you’ll switch your shoes out for some comfy fur-lined Crocs and cozy up to your fireside table. With a menu of elevated American fare, there’s something for everyone to enjoy, like the chili encrusted elk tenderloin entrée. The evening is complete with the magical sleigh ride down the mountain. If it’s a Thursday, Powers suggested something special for the kids: Thursday Night Lights. A weekly evening ski-down, this memorable opportunity is open to skiers and riders who are at the intermediate level or above. Equipped with glowsticks, participants ride ski down the mountain accompanied by music and a fireworks finale. There is plenty to do and experience in Vail and Beaver Creek. The reality is, one day is never enough. So, whether you’re traveling with a group of friends, with a special someone or with an extended family, you’ll be able to make the most of a vacation in the Vail Valley with these tips and suggestions. Everyone’s experience is unique, though, so enjoy creating your own adventure.